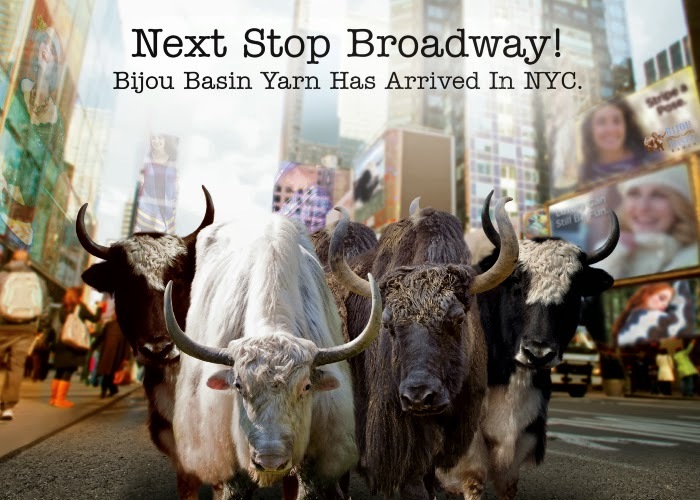 To celebrate our arrival at our exclusive home in New York city, The Yarn Company, we invite you to play a little game with us: there are several BBR-related images hidden in the above image - can you find them all? Hint: you'll want to check out this section on our website! Once you have found all of the hidden images and identified what they are, email us a list of the names or items to bbrgames@bijoubasinranch.com. We will randomly select a winner from the pool of correct entries to win a skein of Tibetan Dream sock yarn and a pattern. This contest coincides with a trunk show which is happening right now at The Yarn Company. It runs through Monday, February 3; we will announce the winner on Tuesday, February 4 here on this blog, so be sure to bookmark this page or follow us with your preferred reader! Having trouble viewing the image above? Click here to view a hi-res version on our website. Good luck! 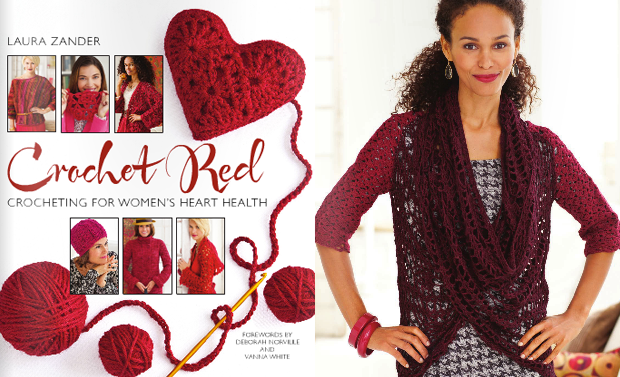 Two of our yarns are featured in Marly Bird's gorgeous Sweater with Cowl pattern which appears in the new Crochet Red book: our 100% Yak Sport Weight Yarn and Seraphim, our angora blend laceweight yarn! Together, they create a versatile layering piece for your year-round wardrobe. If you are a fan of the Dual Cable Fingerless Gloves, Hat and Scarf patterns, you'll love Marly Bird's newest accessory, the Dual Cable Boot Toppers! They're the perfect way to complete your ensemble while staying toasty. You'll need 2 skeins of Bijou Bliss yarn to make this design, which are designed to be knit to your perfect size and are guaranteed to be the right fit! Our friends at Jimmy Beans Wool have created a fantastic new fingerless mitt pattern which uses just one skein of Bijou Bliss yarn. 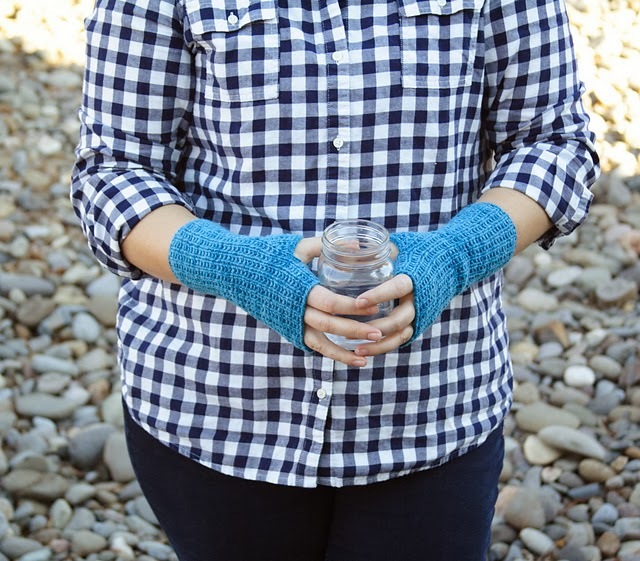 Best of all, the Blissful Mitts pattern is available for free and knits up in a jiffy. Click here to view on Ravelry & add to your queue!